Makersan (Turkey), manufacturer of sensors, engine throttle, and motion controllers, extended its product range with a three in one sensor. It combines inclination, acceleration, and gyroscope. The IP67-rated sensor uses Sensor fusion which combines data from 3D accelerometer and 3D gyroscope in order to provide dynamic response for demanding applications. The sensor also provides not only inclination data but also acceleration and gyro data at the same time. CAN output options are available. That means users don’t have to buy an acceleration sensor in addition to an inclination sensor, for example. The measuring range of each sensor output can be adjusted as required by the customer’s application. For the applications requiring redundancy, the dual Mems variant can be requested as an option. The customer can compare data from each Mems to check integrity of the measurement data. The figure shows response of the sensor against a conventional inclination sensor (static type). Under linear accelerations conventional inclination sensors have big deviation from real position. The sensor is more immune to these type of motions, said the company. 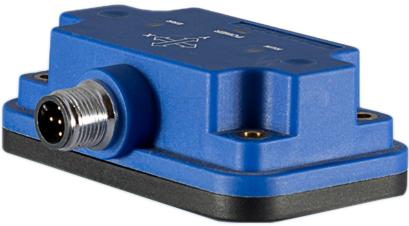 Baumer has introduced the GIM140R inclination sensor. It is designed for harsh outdoor applications.